You take them everywhere with you and you use them several times a day, but are you actually keeping them in good condition? 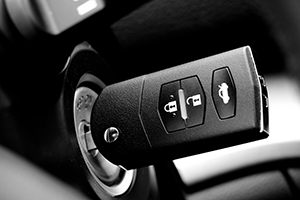 Most people do not provide care to their ignition car keys until they stop working or get completely broken. With simple and effective maintenance, you can ensure the optimal operation of these devices for longer. Learn how to do things right for best results. Check the blade for dullness, scratching, bending and chipping. Look closely at the cuts in particular, as they have the highest rate of natural wearing. In order to check the blade for bending, you should hold it straight and place it next to a perfectly straight line such as the edge of a desk. Even in case of slight bending, timely key repair will be needed. Keys with very dull blades or chipped sections must be replaced right away. Inspect the electronic unit for cracks and misaligned sections and test the operation of the buttons - If the any of the first two problems is present, you should have the transponder key fixed or replaced without delay. Check whether the buttons work smoothly. If they seem stuck, you should remove any dirt around them. Use a toothpick for this. If this does not help, you should have them fixed. Remove traces of rust from the blade - Dampen soft lint-free cloth into white vinegar and rub the rusty spots on the blade vigorously. For best results, you should bring the vinegar to boil first and use it once it has cooled down. Get rid of grease spots from the blade and the electronic unit - Use lemon juice to get good results safely. Remember not to use too much of the liquid. When you squeeze the dampened section of the cloth, it should not release drops. Otherwise you may damage the electronics and this may pose the need for car key replacement eventually. Remove stuck dirt with toothpick - This method is effective not only for cleaning the gaps between the buttons and the casing, but also for the area around the base of the blade and the section around the cover of the infrared unit. Do not use sharp metal tools as they can easily cause damage even if they are handled with care. Rinse and dry the cleaned surfaces - Use cloth dipped in a bit of fresh water to remove any traces of the cleaning solutions. Dry the surfaces completely with dry cloth. 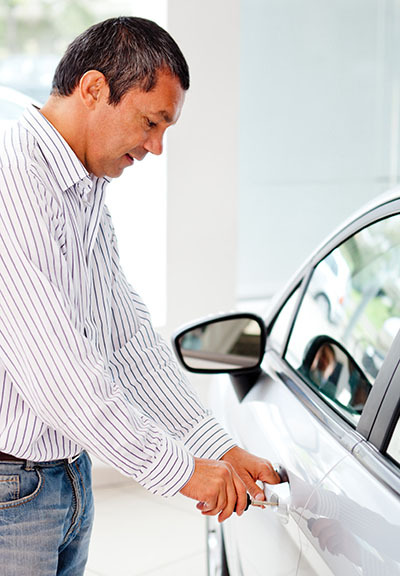 With properly maintained transponder keys, the risk of car lockout is lower.